Back in March, we heard about fitbit ace, a wearable fitness tracker for kids of 8 years. The company announced today that the Ace is available globally. This kid’s fitness tracker is available in two colors, electric blue and power purple. The price of this wearable is $99.95. The Fitbit Ace tracks same activities as Fitbit’s other models for adults. It tracks steps, active minutes and sleep for your child. It will send notifications to move once an hour and provide motivation through badges and challenges. However, Fitbit is not letting kids to check calories burned or body fat percentages. 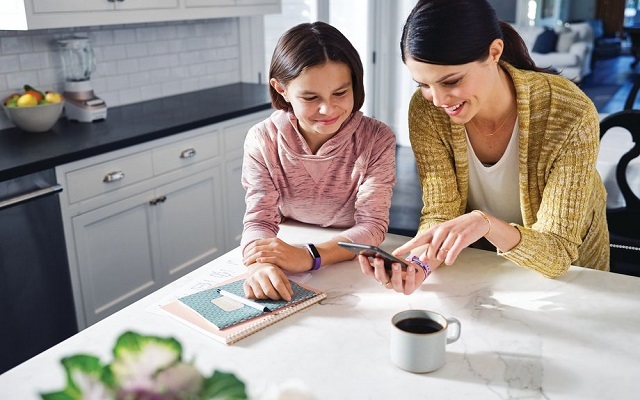 Only adults can check, who will manage their child’s Fitbit Ace through the website’s new family accounts. Moreover, it allows parents to keep check and control over incoming friend requests and more. Fitbit also plans to introduce new competitions in the Fitbit app which will allow family members to compete with each other to achieve certain step goals. The fitbit ace is not the first child-centered fitness tracker. Garmin has also made the Vivofit, which is fitness tracker for kids. Fitness tracking companies are moving into the children’s market as child obesity is on the rise and they want to do something about it.